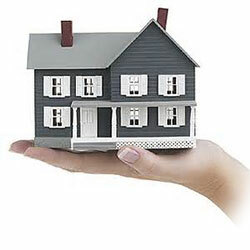 STJ is a complete mortgage lending solution. We know mortgage lending, and we'll help you move into your new home or refinance your existing property faster and easier than all other lenders. Mortgage rates change daily. Click here for current rates. Let STJ Take a Second Look at Your Mortgage Options! The Second Look Mortgage Program is a free, no-obligation look at your mortgage financing to provide you with the best possible loan for your individual needs. Whether you are already pre-qualified, or in the process of getting pre-qualified with another lender, let STJ take a second look so you can compare interest rates, fees and loan programs to make sure you are in the right program that meets your long and short term financial goals. The Second Look Mortgage Program also helps those who have been denied a mortgage loan, or need some credit help to become eligible for a home loan. Let our Mortgage Loan Officer take a look at your personal finances today.